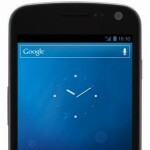 The Galaxy Nexus, like its predecessors, is headed to just about every carrier imaginable outside the United States and the PAYG Canadian alternative WIND Mobile is next in line. They’re set to release the device this Friday, February 3rd, for $250 for WINDTab+ customers (cost of the rest of the device is figured into your monthly bill over a three-year contract) and $600 outright. For those considering switching, WIND customers currently enjoy great rates such as their unlimited everything plan for just $40. It’s a viable option if you prefer to go with a smaller carrier to save money – the phone they’re offering in a couple of days isn’t a bad one, either. Read on for full press details. TORONTO, ON - February 1, 2012 - On Friday, February 3rd, three of the most highly-coveted smartphones will be available at WIND Mobile: the Galaxy Nexus, the worlds first smartphone powered by Android 4.0, Ice Cream Sandwich; the BlackBerry Bold 9790, the lightweight, touchscreen + QWERTY addition to the BlackBerry 7 lineup; and the BlackBerry Curve 9360, now available in white as well as in black. "Our customers are always on the lookout for the newest technology and were proud to add these state-of-the-art smartphones to our offering and pair them with plans that allow customers to make the most of all their features," said Anthony Lacavera, Chairman and CEO of WIND Mobile. As the first smartphone to feature a 4.65 display with a market-leading resolution of 720p, the Galaxy Nexus ensures superior clarity for entertainment capabilities, fast web browsing, and high-definition gaming and video streaming with its 1.2GHz dual core processor. The Ice Cream Sandwich operating system introduces innovations such as Face Unlock which uses facial recognition to unlock the device. Other innovations include NFC technology with Android Beam which allows for the rapid sharing of web pages, apps, and online videos by simply tapping two devices together. With a super-slim form factor and superior battery life, the BlackBerry Bold 9790 delivers non-stop BlackBerry 7 OS power in a barely-there design. Featuring a 1 GHz processor, 768 MB RAM and 8 GB of onboard memory, this new BlackBerry lets users take care of business faster than ever before. WIND customers can take full advantage of everything the Galaxy Nexus and the Bold 9790 have to offer with a new Leap Plan featuring unlimited Canada-wide talk, text and data for $40 per month. The Galaxy Nexus will be available for $249 with WINDtab+ or $599 outright while the BlackBerry Bold 9790 is available for $49 with WINDtab+ or $399 outright. Alongside the introduction of the BlackBerry Curve 9360 in white, WIND will be offering a special Share The Love Combo in February. Lovers can get two BlackBerry Curve 9360 smartphones for $0 with WINDtab and two plans with unlimited talk, text, and data for $65 per month. WIND Mobile provides voice, text and data services to Canadians on a next-generation wireless network and is committed to offering a level of wireless service presently not available in Canada. WIND is built on actual conversations that are happening with Canadians who are passionate about wireless and creating a better mobile offering nationally. For more information about WIND Mobile, please visit WINDmobile.ca. Globalive Holdings is a leading provider of telecommunications solutions in Canada and internationally to the consumer, business and hospitality markets. The Globalive companies include: WIND Mobile, Yak Communications, One Connect, Canopco and Globalive Carrier Services. For more information, visit Globalive.com.